In today’s NHL rumor rundown, there is news on the Oilers GM search and one candidate who it appears is not going to get the job, some early candidates for the Los Angeles Kings coaching job, and news on the Buffalo Sabres. It appears interim GM Keith Greztky has been told he will not be getting the job of permanent GM of the Edmonton Oilers. TSN 1260 host Dustin Neilsen reported on Wednesday that he heard from two sources that Gretzky has been informed he will not be given the position. No word on whether or not that means Gretzky will stay and run the amateur side of the scouting and development but he has said in the past he’d like to stay with the Oilers if that’s an option. Some of the early candidates for the job in Edmonton include Mike Gillis, Mike Futa, Keith Gretzky, Mark Hunter, Kelly McCrimmon, Bill Zito – maybe Sean Burke, Bill Armstrong. One writer in Edmonton wrote a long piece about Bill Guerin getting the job. That said, Elliotte Friedman of Sportsnet reported that if the Buffalo Sabres coming forward and offer a lot more money the Kings won’t match. 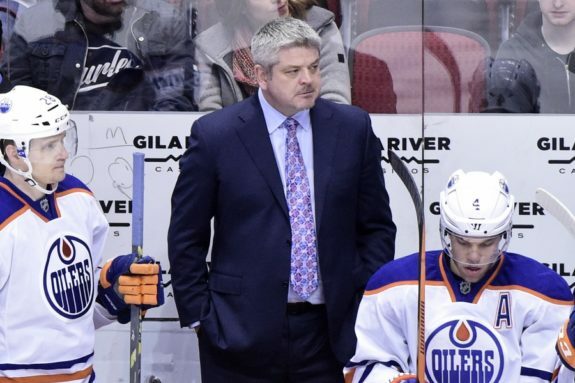 If the Kings don’t get McLellan they could look at Tony Granato, Bob Hartley and Patrick Roy – all have ties with GM Rob Blake. Other options could be Doug Weight and Dave Tippett. David Pagnotta of The Fourth Period is reporting after making $3 million a season with the Edmonton Oilers, McLellan is expected to get more than $4 million potentially from the Kings. Friedman also mentioned there were a number of teams watching Sabres defenseman Rasmus Ristolainen after the trade deadline came and went and that the 25-year old right-handed defenseman would get interest in the offseason if he became available. Now that SKA St. Petersburg has been eliminated from the Gagarin Cup playoffs the Vegas Golden Knights might be getting one of the best players in the KHL for their NHL playoff run. 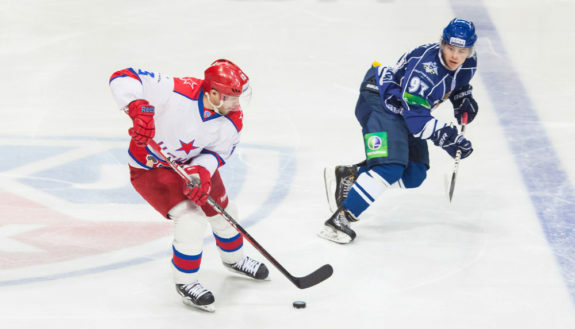 Nikita Gusev technically runs through the end of April but it can be terminated early if the team agrees and it appears that might be the case. Igor Eronko of Sport-Express believes Gusev is on his way to the Golden Knights to join them for the playoffs. For those wondering how that’s possible, Gusev was listed on the Golden Knights reserve list and as such, he can join the team immediately after he’s signed. This does mean the Golden Knights need to get him signed and that’s not a given considering there will be some negotiation for a player who scored 82 points in 62 games this past season. There are reports that a number of names have already said no to the Ottawa Senators who are still looking for a head coach and President of Hockey Operations. Among those that have turned down the big job, – Ron Francis, Trevor Linden, Dean Lombardi, Joe Nieuwendyk and Steve Yzerman. If you look at the teams in the postseason right now and some of the players that are sitting, it might be easy to determine some of the names that will pop up in trade talks once the playoffs are over. Some big money is on the sidelines. In Tampa, that includes Ryan Callahan and Braydon Coburn, in Columbus, that’s Alexander Wennberg, Brian Dumoulin and Jack Johnson among others.